Located 350 mi/560 km south of Mumbai, Goa is one of India's prime tourist destinations, thanks to its picturesque location on the Mandovi River, between the Western Ghats and the Arabian Sea. The state's Portuguese past is most apparent in its plazas, cathedrals and architecture, and a few Portuguese insist that Goa retains more old-world heritage than most of Portugal, especially in Old Goa, which was once (in the 1600s) touted as the "Lisbon of the East." Although it's best known for its 65 mi/105 km of magnificent, palm-tree-lined beaches along the Arabian Sea, Goa also has other attractions of significance, including a variety of ornate historical churches. The surrounding countryside is dotted with luxurious old estates built by wealthy Indians (many of whom converted to Catholicism), including Braganza Palace, which is open to the public. Sacegador, which means "take it easy" in Portuguese, has become the Goan way of life. A three-hour afternoon siesta divides the working day there. 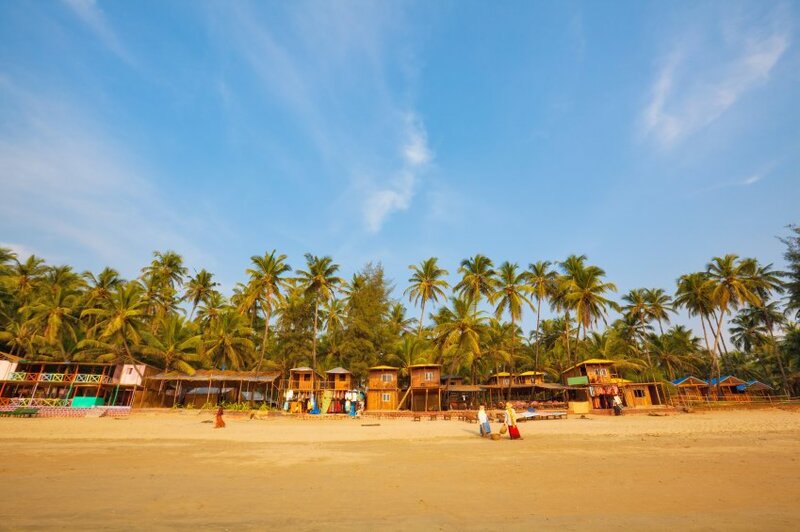 Plan to stay three nights in Goa if you aren't interested in beaches, or up to a week if you plan to do some watersports and soak up the sun.